Case Study - Fyg Leaf Investment Club. Use the Proshare Clubs library as a resource to find out the facts on topics such as 'What to do when the market falls' and 'Where to find financial information'. Thank you for your interest in the ProShare clubs manual. We are currently out of stock so are unable to process your order at this time. Even before you organise your exploratory meeting, the very first thing to do is to buy The ProShare Investment Clubs Manual. 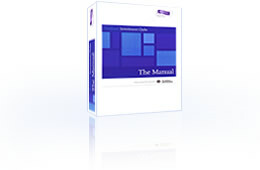 The Manual is essential for the successful formation and operation of an investment club. It is a complete guide to setting up and running a club. Its contents have stood the test of time and are based on the experiences of clubs on both sides of the Atlantic. It is invaluable when setting your club up and will be very useful as a reference tool throughout your club's life.